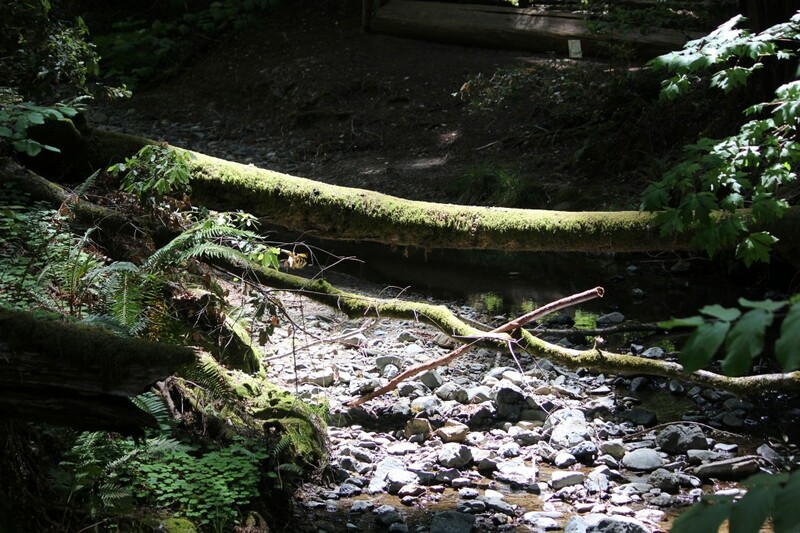 Muir Woods National Monument is a small preservation of coastal redwoods located just north of San Francisco. 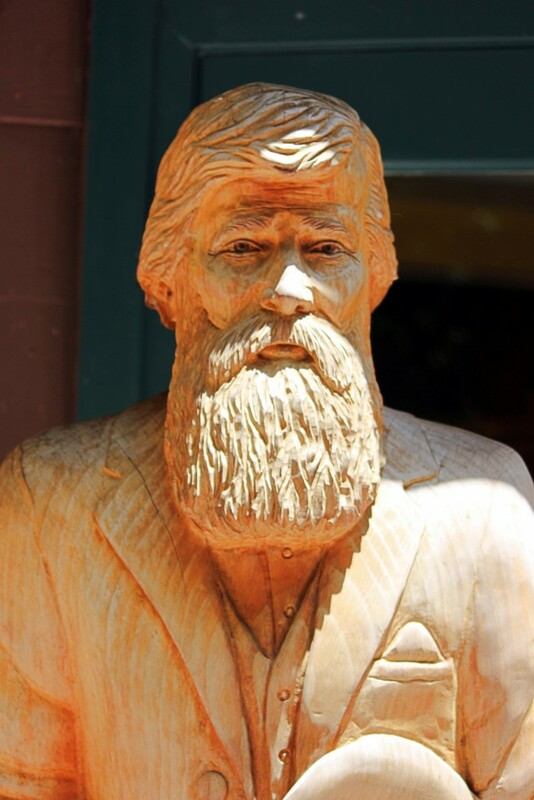 It was named in honor of John Muir who said of the area, “This is the best tree-lovers monument that could possibly be found in all the forests of the world.” Could it possibly live up to his claim? 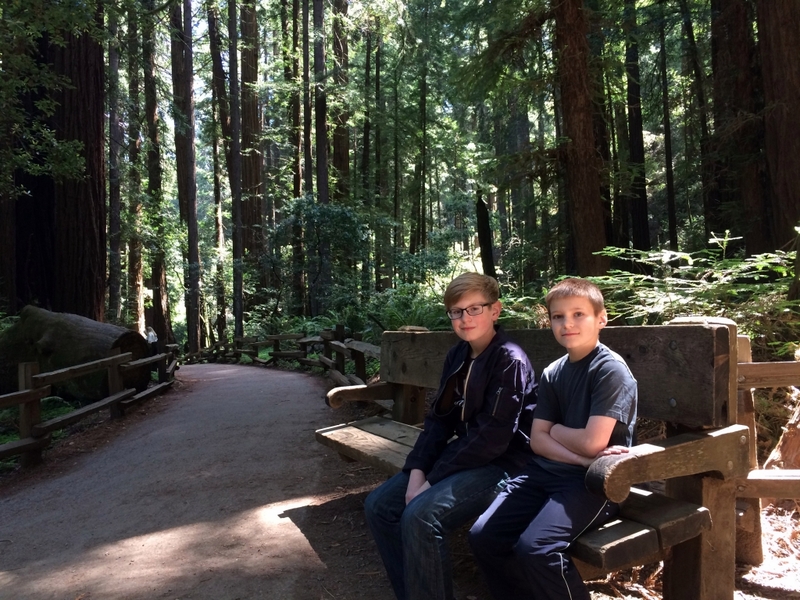 We entered Muir Woods not knowing what to expect. 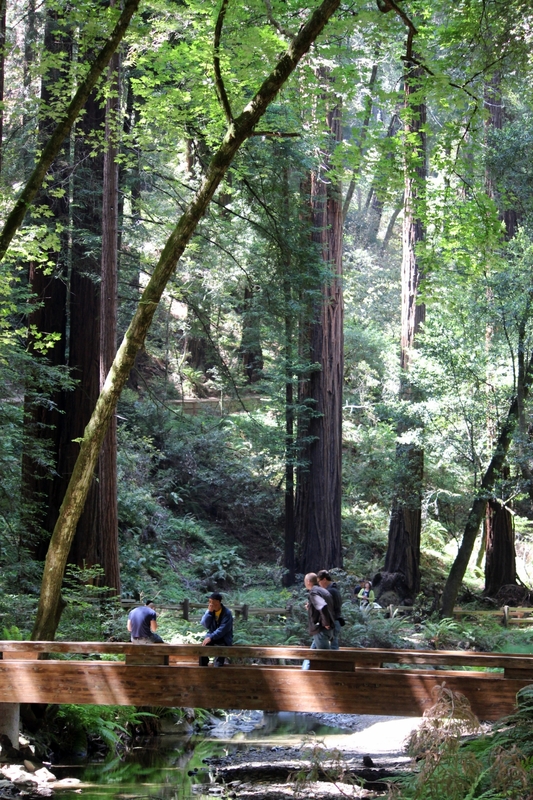 We had already been to some amazing national parks and San Francisco had charmed us, but at Muir Woods, I was blown away. 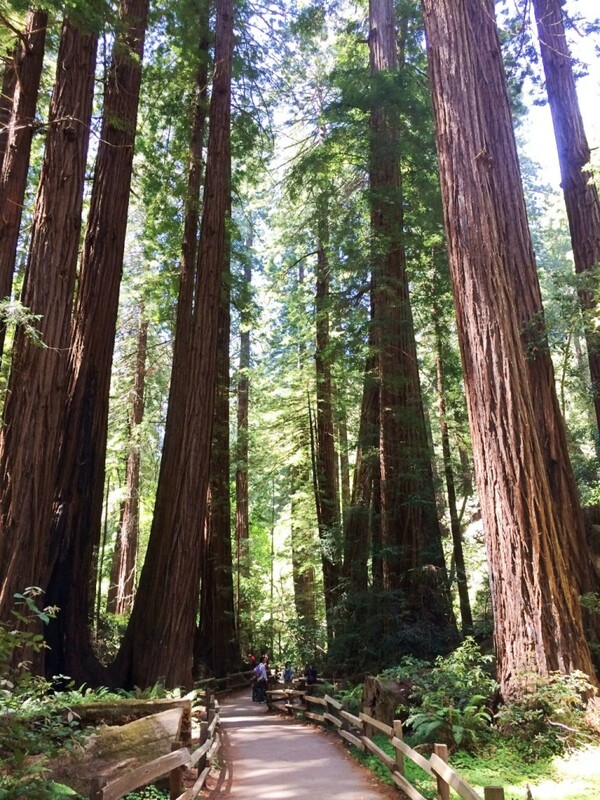 Though I had marveled at the trees in Sequoia National Park, that park was not nearly as breathtaking as Muir Woods. 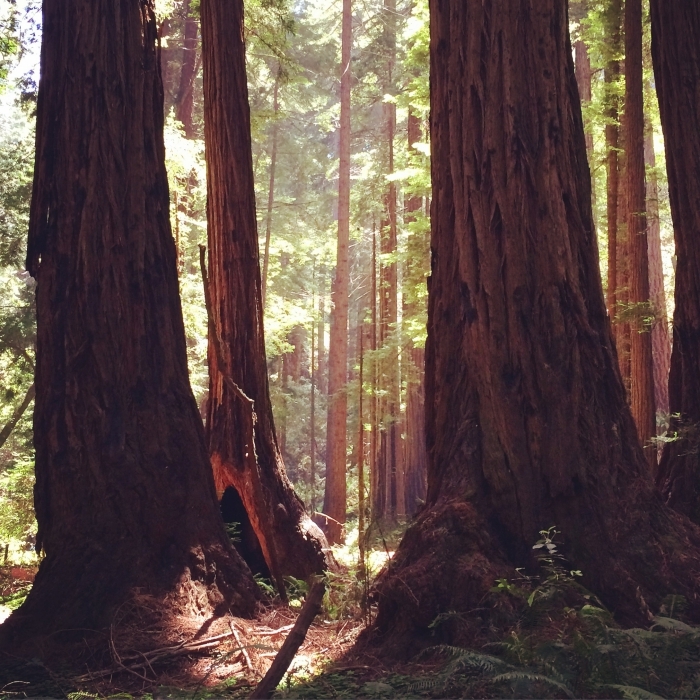 Sequoia has big trees, but Muir Woods is straight out of a fairy tale. 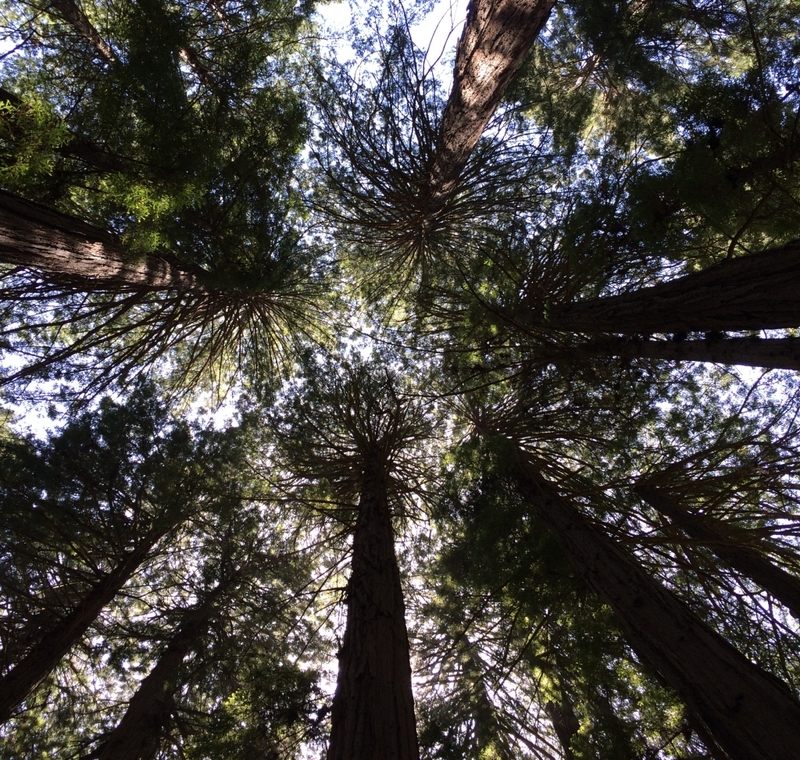 Giant coastal redwoods loom overhead creating an encompassing canopy. My boys thought it looked like the Forest Moon of Endor from Star Wars. 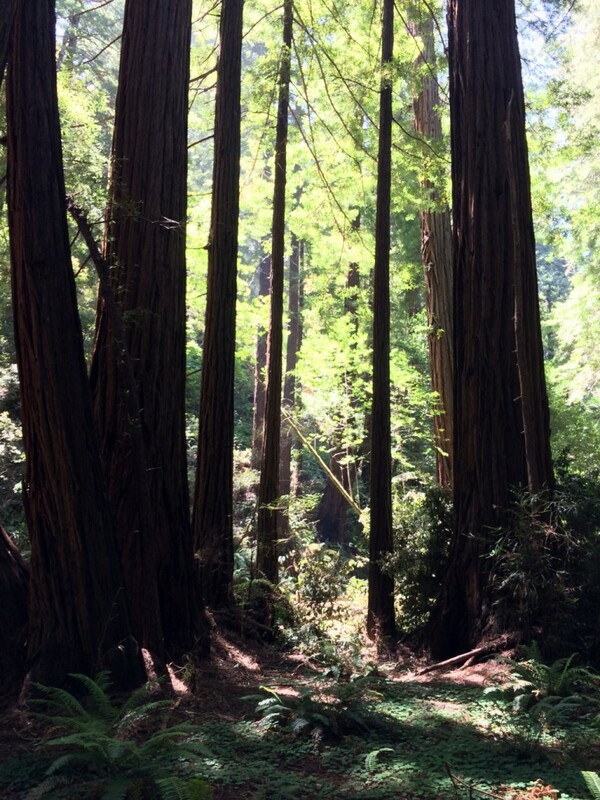 Though the fog had cleared by the time we reached Muir Woods, we could barely see the sunlight through the trees. Where we could see the sun, it seemed to magically light up the forest. The tall trees weren’t the only thing to see. 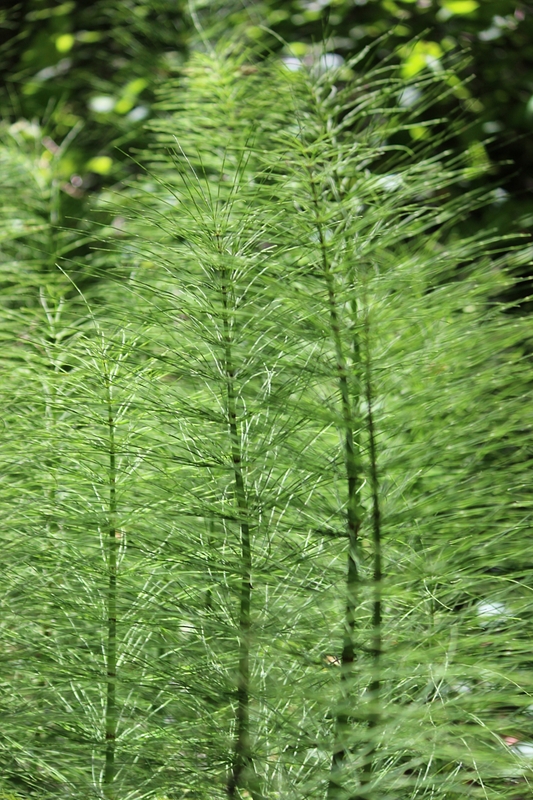 The ferns and mosses that covered the grounds seemed straight out of a jurassic world. Along the way, we were lucky to spot a small bird. A park ranger said few birds inhabit the area since not many insects live in the redwood habitat. 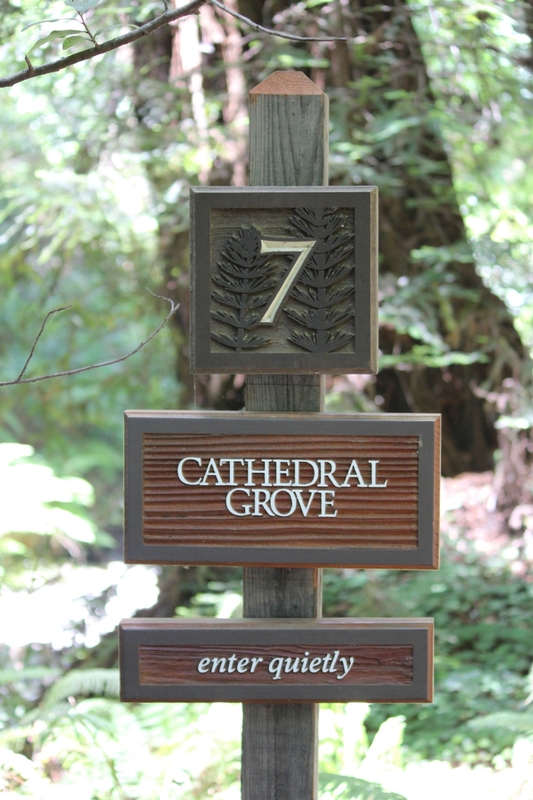 I especially loved that a part of the trail is marked as the Cathedral Grove. Visitors are asked to speak in a hush. 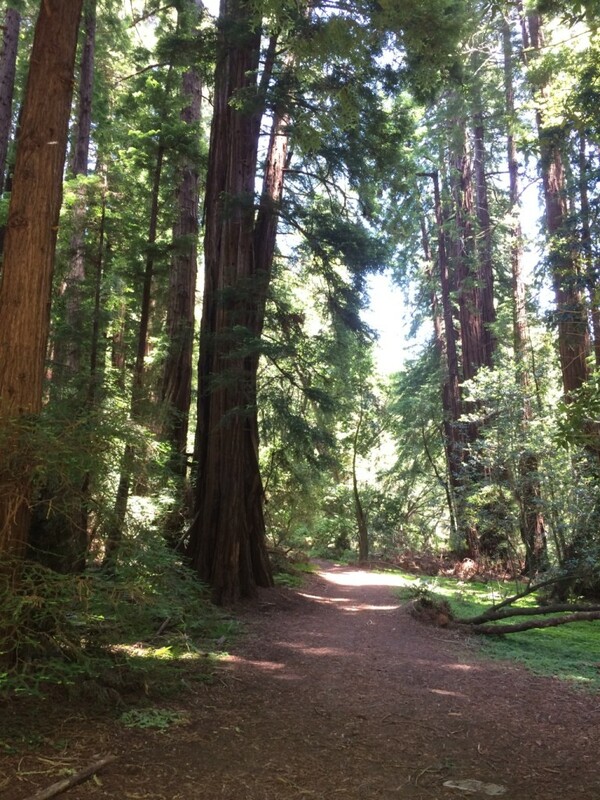 Though we were at Muir Woods with throngs of other people, we mostly heard the sounds of nature as we walked along this part of the trail. This really was a forest cathedral, grander than any place of worship I’ve ever seen. It was here that we decided to lie down and look at the canopy above. Looking foolish to other visitors was definitely worth this experience. Even my boys played along. This moment right here might possibly be my favorite moment out of our whole Birdy Goes West journey. As we looked up, the trees above looked intertwined. John Muir had said, “There is not a ‘fragment’ in all nature, for every relative fragment of one thing is a full harmonious unit in itself.” We are all as connected, as the branches of the trees above. While some of the trails at the national parks we visited would have been intimidating for families with very young children, Muir Woods is perfectly accessible. You’ll only need to set aside 2-3 hours for your visit, since this is a very small park, with one main trail through the woods. 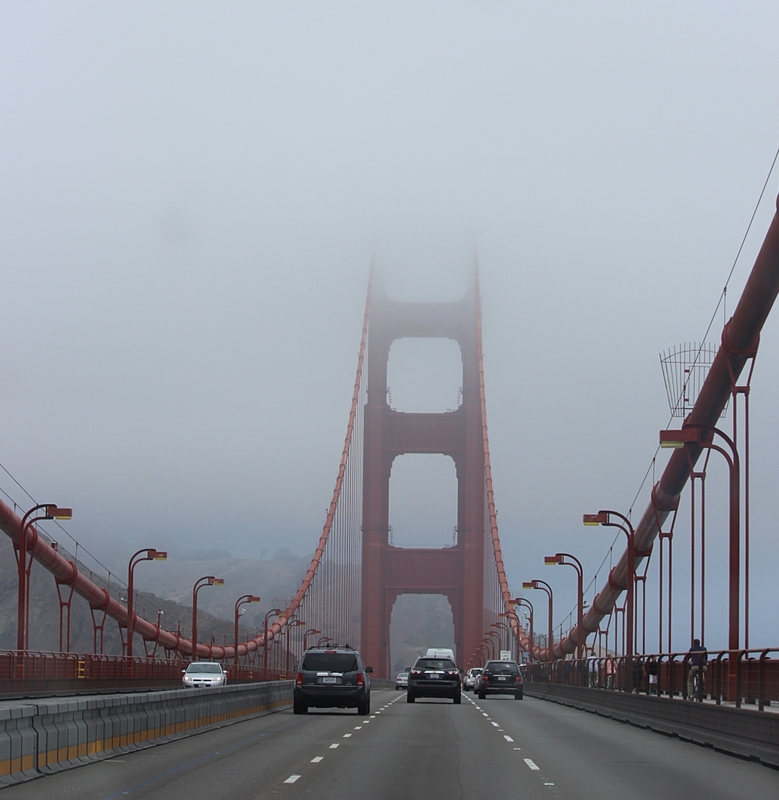 As we left Muir Woods, we decided to pull off at the Marin Headlands area. We didn’t have a chance to walk any trails or do much exploring, but we loved seeing the Golden Gate bridge and San Francisco Bay from above. What a glorious view! 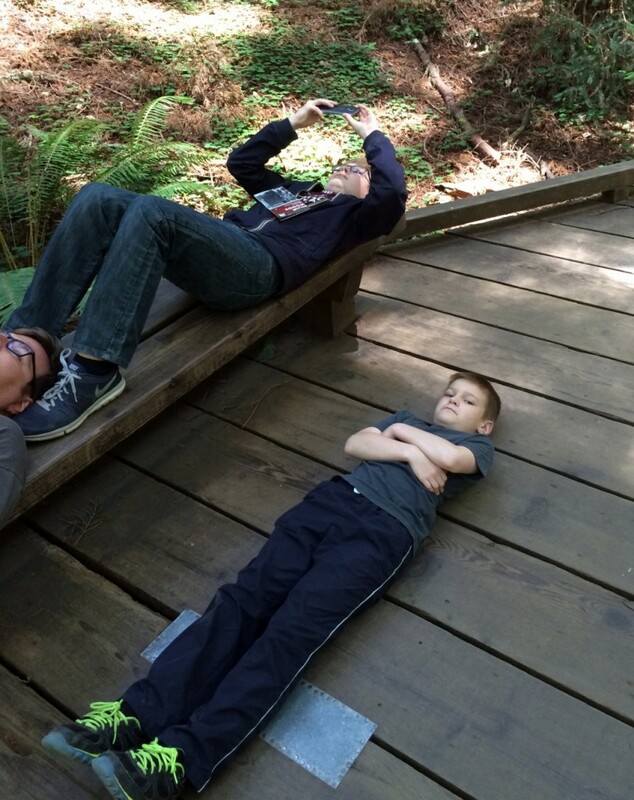 A perfect bookend to our beautiful day at Muir Woods. 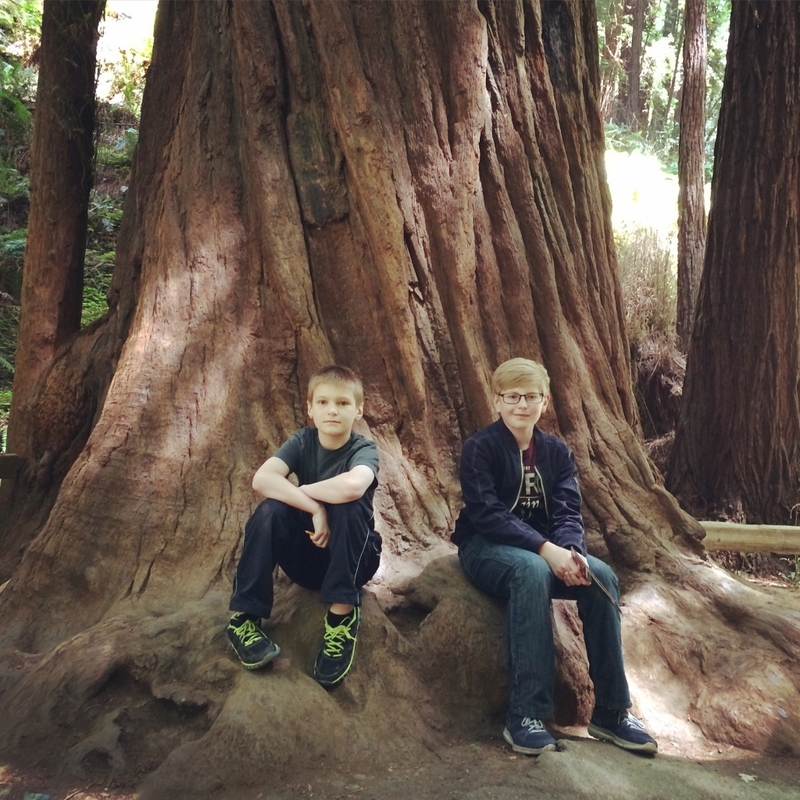 So, was John Muir right about Muir Woods being the best tree-lovers monument? I’d say so! 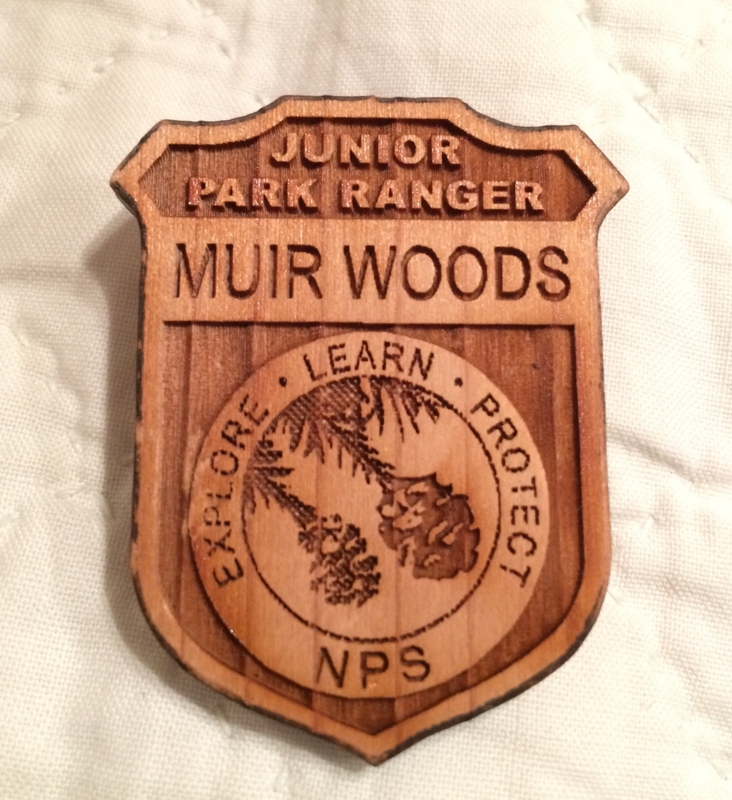 Even after exploring Yosemite National Park and Sequoia National Park and the amazing red rocks of Sedona, Muir Woods was my favorite place of our whole trip. There’s just something about that enchanted forest. 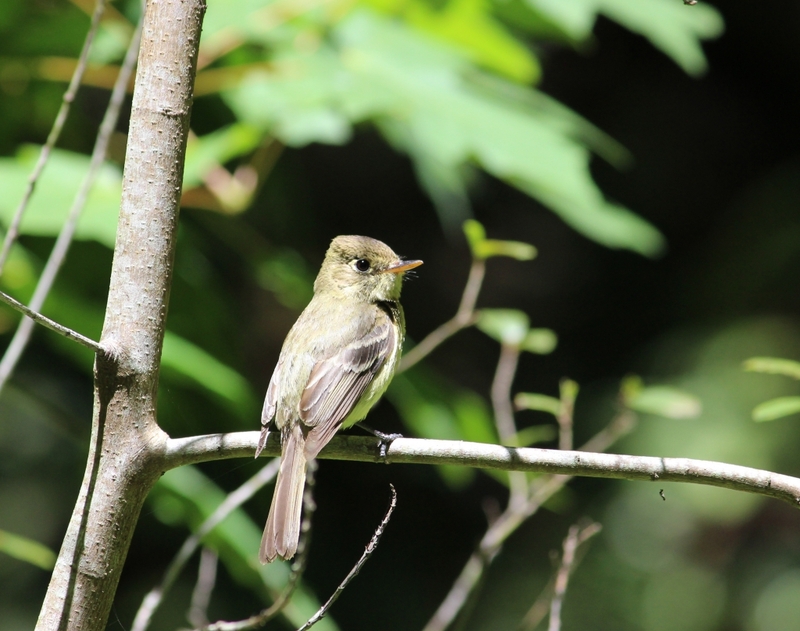 Click here to read all about our Birdy Goes West trip. Posted in: Places We've Explored. 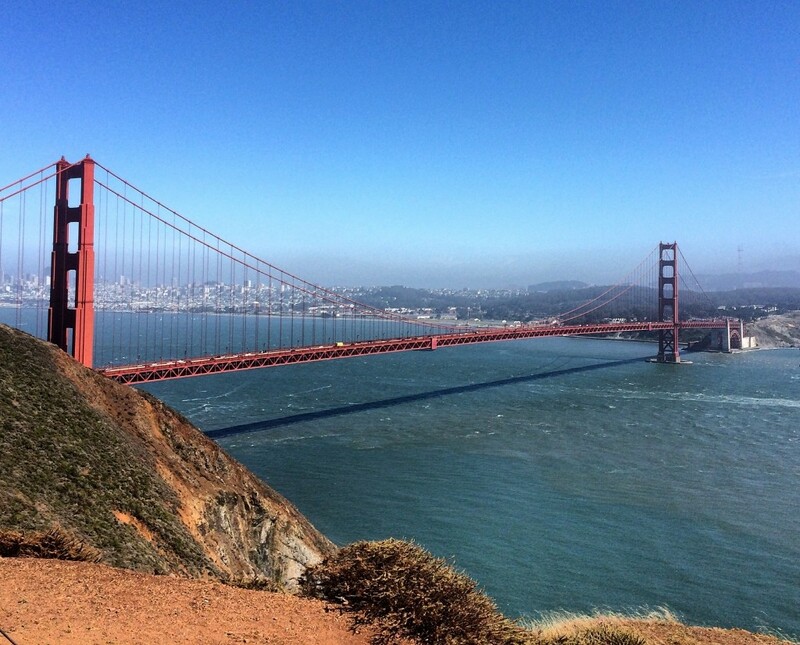 Tags: Birdy Goes West, California, Hiking, National parks, San Francisco. Ha! 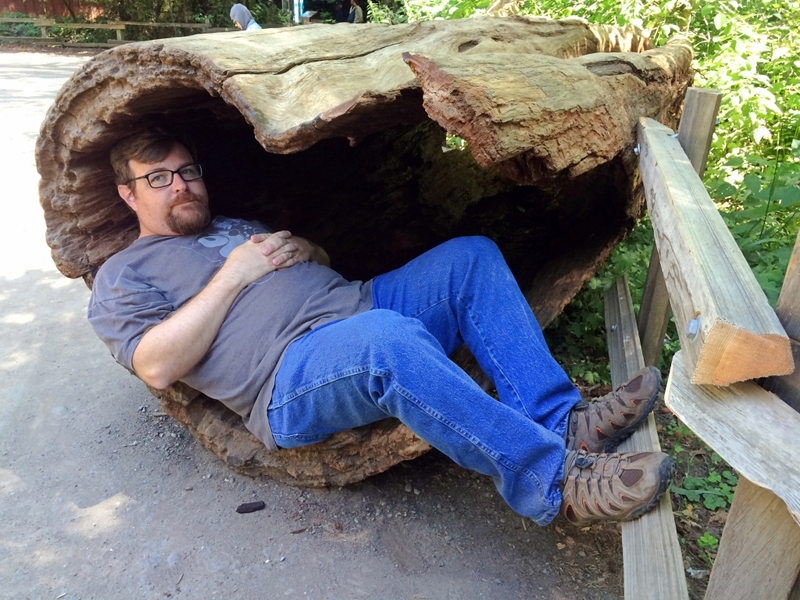 After driving the road in and out of Sequoia National Park, I wasn’t quite as freaked out driving to Muir Woods! I imagined our deaths from careening off the road several times in Sequoia, though.